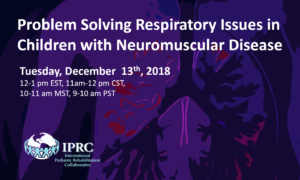 “Problem Solving Respiratory Issues in Children with Neuromuscular Disease” was presented by Eliezer Be’eri, MD on Thursday, December 13th, 2018. Dr. Be’eri is the Deputy Director General of ALYN Hospital in Jerusalem, Israel, and is also the Director of the hospital’s Department of Respiratory Rehabilitation, a 19-bed facility for weaning and rehabilitation of children with ventilator dependency. The department is the only one of its kind in the Middle-East, serves as a referral center for intensive care units around the country, and discharges approximately 60 children a year to ongoing home-ventilation frameworks. Dr. Be’eri received his training in Pediatric medicine at Hadassah Hospital in Israel and at Boston Children’s Hospital in the United States. 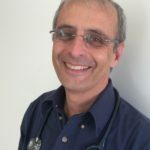 He is an innovator and pioneer in the fields of pediatric respiratory rehabilitation and home ventilation in Israel, with a focus on non-invasive ventilation techniques. Dr. Be’eri has two patents for ventilation devices and is well published in his field, including a textbook chapter and 8 international peer-reviewed research articles. This webinar will equip participants with a background understanding of, and practical management strategies for dealing with, respiratory problems that are frequently encountered during the course of hospital-based rehabilitation and home-management of children with neuromuscular disabilities. Understand strategies to diagnose and manage respiratory problems in the child with Cerebral Palsy. Please follow the link to view or copy the link below into your browser. Please submit your name and email to view the recording.